The Xbox One and independent developer relationship got off to a rocky start, but Redmond has, bit by bit, done what it can to woo back the indie crowd. It's latest play is the announcement of 25 titles published through the ID@Xbox program that are headed to its marquee game console. Calling this "the midst of a golden age of independent games," Microsoft's independent developers publishing arms, or ID@Xbox, dropped the news at GDC, a mecca for smaller houses and publisher-less devs. "Since we first announced the program in August , we've been working closely with developers to bring a diverse array of independent games to Xbox One," said ID@Xbox Games Director Chris Charla in a press release. The titles originate from nine countries, and include newcomers such as It Draws a Red Box and FRU. Current "fan favorites" being brought to the Xbox One platform include Strike Suite Zero and Divekick. Other indie titles include Nutjitsu, 1001 Spikes, Guacamelee Super Turbo Championship Edition (we're partial to the name), and Riptide GP2. There's no specific release dates for any of the games, but consumers can expect them in the Xbox store "in the coming weeks." 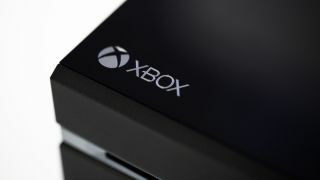 Microsoft said that since ID@Xbox launched, more than 200 developers have received Xbox One development kits. The company's stance towards independent developers has evolved since the console was announced in May 2013. One of its biggest shifts was to allow self-publishing, an "Xbox 180" it pulled in July. For all the latest from GDC 2014, you should head right here.